BRYAN EATON/Staff photo. 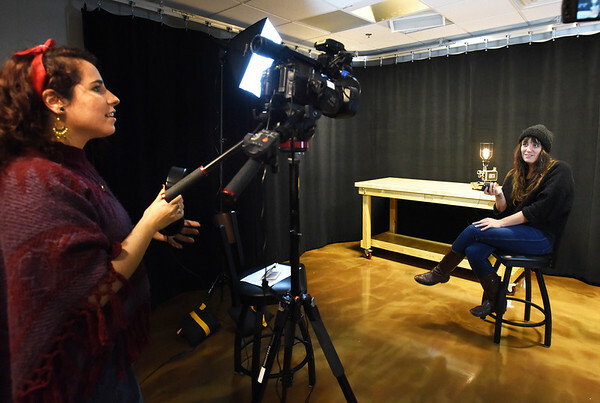 Videographer and interviewer Caterina Masia does a test of Nikole Beckwith before conducting the interview at Port Media. Now living in Los Angeles Beckwith, a Newburyport native, is an award winning screenwriter and will be featured for Women's HERstory Month.